No Post Title This Time. Dear Blog, I know it’s been a few days since my last post. Things around here have been busy. 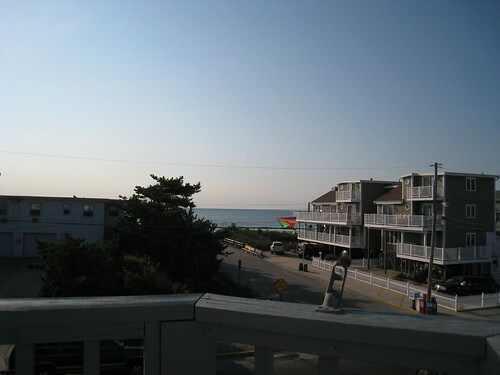 Over the weekend we all went to the Shore, staying with Mr. Interrupted’s aunt and uncle (and a couple of cousins) in their gorgeous house a mere block from the beach. It was like a dream. 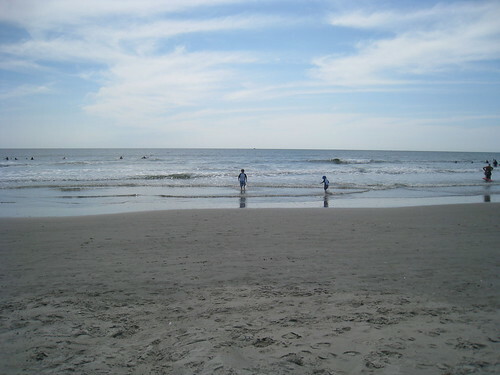 Imagine rolling out of bed into your bathing suit and strolling down to the ocean after a quick breakfast. Lunchtime? Just pop back to the house for a quick bite to eat and maybe a nap before heading back. Everything about it was just wonderful. The boys had a marvelous time. I7 learned how to boogie board (and he doesn’t even know how to swim!) 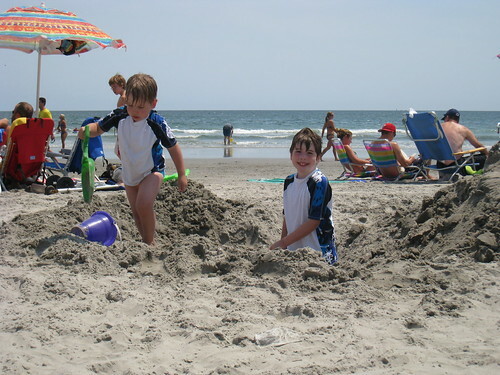 and E3 and I had a grand time playing in the surf together and collecting shells. The boys dug a great big hole. I couldn’t ask for a more perfect vacation. Next Post Watch out for the lace bug, it bites! 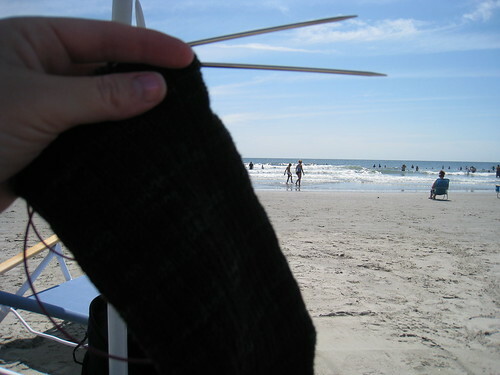 Yay for beach knitting! You deserved a wonderful vacation. 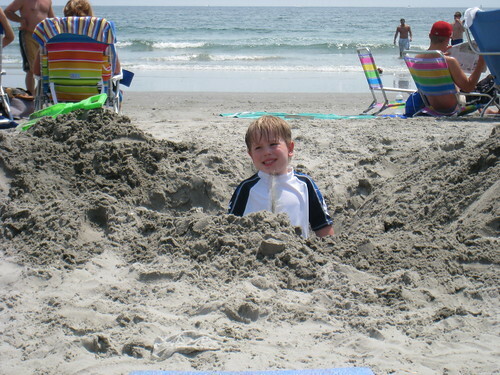 I didn’t know it was possible either, until the boy-child and his daddy dug down to it when we were at the beach in June. Neat, huh? Glad you had a good vacation!